and linger, to observe for understanding. I watch the thrusts, leaps, propulsion and buoyancy. they bob cork-like on the surface like a tiny toy used to lure a reluctant toddler to its evening bath. awkward with legs set well back on their bodies. I saw some foraging even after dark. 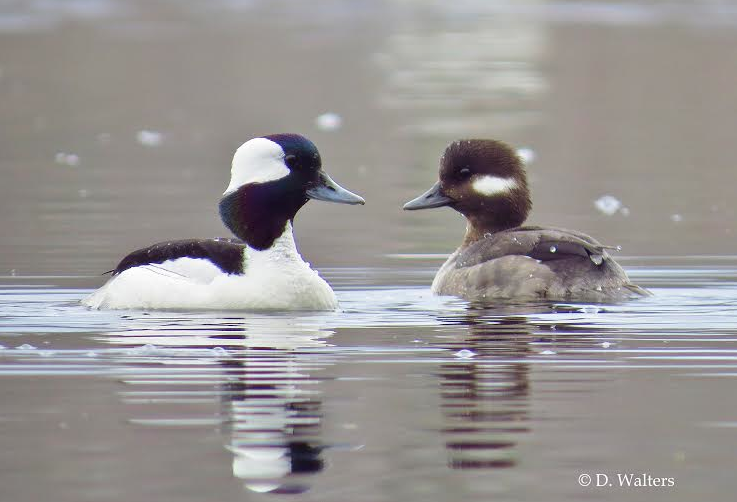 On the water, when lighting permits, Buffleheads create stunning reflections of symmetrical beauty. back of the head. The dark hen sports a single, almond-shaped, white patch behind the eye. in boreal forests and substrates studded with aspen. than most other ducks, commonly with intervals of two or three days between eggs.